Charlie Parker was popularly known as "Yardbird" or "Bird". His great songs included including "Billie's Bounce", "Anthropology", "Ornithology", and "Confirmation". 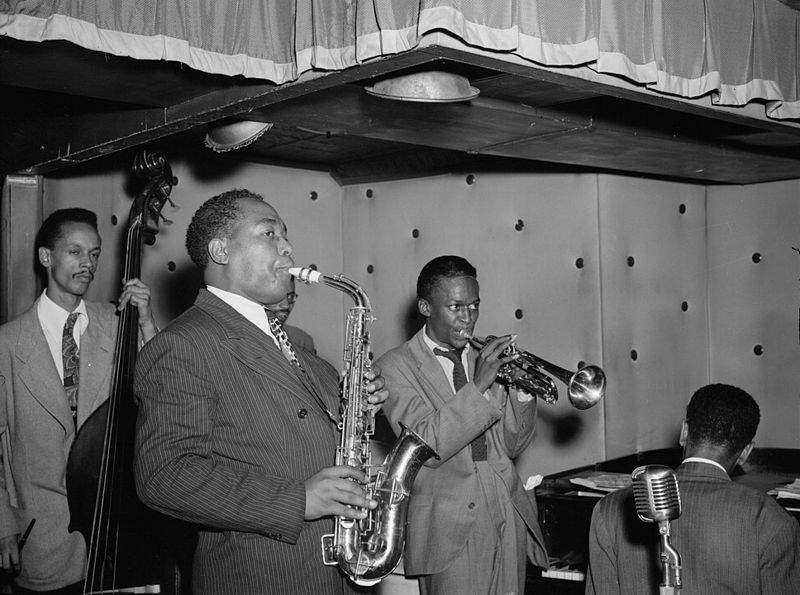 Portrait of Charlie Parker (on saxophone) with Tommy Potter (on double bass), Miles Davis (on trumpet), Duke Jordan, and Max Roach, Three Deuces, New York, N.Y., in 1947. "Billie's Bounce", a 12 bar blues in the Key of F jazz composition written in 1945 by Charlie Parker. 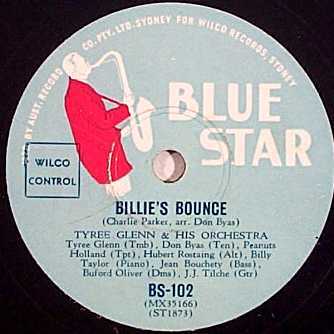 This version is played by Tyree Glen and his orchestra. Charlie Parker as portrayed on a 1995 United States commemorative postage stamp. 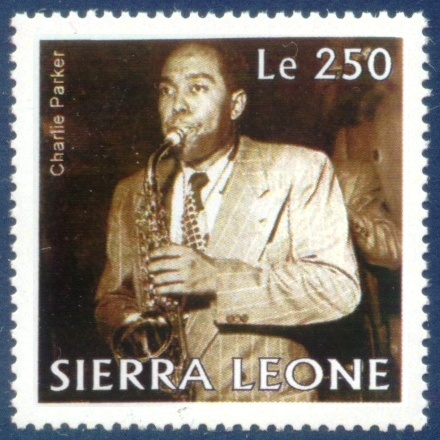 Charlie Parker as portrayed on a Sierra Leone postage stamp. Note: This picture gallery page includes drawings, paintings, photos and images of performances of Charlie Parker.